Add butter and olive oil to a large frying pan. Fry over medium-high heat for at least 10 minutes or until the patties have turned a nice color. Flip them a few times for even cooking. Add butter to a large frying pan. Place the pan over medium high heat and sauté the shredded cabbage for at least 15 minutes or until the cabbage is wilted and golden brown around the edges. How many fat bombs does this recipe make? Wow, you go girl. Your story is an inspiration to others, keep up the good work. I have been on this LCHF way of healthy eating for 2 weeks now and have lost 4 pounds so far. I like you have tried countless diets and other ways to lose weight and none have worked until I found this. I found a new doctor and am off all of my medications, and am soon coming off of my insulin pump I have been on for 15 years. It can be done. If you are looking for a low-carb supporting doctor to help with medications, google it. I searched for LCHF doctors United States and found 5 in my state! Recipe for fat bombs sounds like a winner --maybe the tool I need to encourage my son to try the two week challenge . Will replace his birthday cake with fat bomb! Many thanks as well for the encouraging statements in these posting.Stay happy -and well with our new way of life . ♥️??? Hi, in all of these recipes the amount of servings are listed. How many are you supposed to have per person. Just one? I mean, these patties sound really good, with the sauce and the cabbage. Maybe one serving of these is enough, but there are recipes in which I think, just one pancake or waffle or maybe serving here means something else than in Holland, because here is meant for how many people the recipe is. I am doing this for about two months now, and besides of better sleep and less stomage growls (or something like that :-)) I still am not losing weight or inches, not gaining either, so I am wondering what I'm doing wrong, maybe I eat to much fatty things. I really don't know anymore. I have been on the AIP for last seven months and have lost forty pounds. The year before I lost 30 that was due to calorie counting.I have reached a plateau at 225 lbs I was almost three hundred. I am looking to tweak my AIP to be keto as well because I have heard will help me get to my personal goal of 190 pounds which I think is good for a six foot one 46 yr old male. The sugar and bread are the hardest I still cheat but is more rare now. because of spine issue cannot exercise so all weight loss has been diet hoping tweaking to Leto will help me reach my goal.but on AIP no sugar nor carbs so is close to this. My pain has gone down from the diet as well so much I am off the cane . Jenny im the same way. I keep starting and falling off of this way of eating, but when im on it i feel great. I keep saying to myself (comes from a lady on facebook low carb eating) that food does not taste better then the way you are feeling. I'm trying to put that into practice. I to been obese (hate that word) big part of my life. Stick with it and it WILL pay off seen it take place. You not along!!!!! Looking forward to trying these this week. Thanks for the recipes as always guys. My husband (non keto) loves them too ! 50 grams of fresh parsley is a whole lot of parsley. Like a bucket full. That can't be right? Made this dish last night delicious, added some chopped onions to the meat and used cayenne chilli pepper as well. is now a firm favourite as it does not take long to make. Any suggestions other that feta (non cheese lover here) ? What an amazing story !! Keep going and the weight will continue to drop off !! If you relapse for any reason, don't beat yourself up about it, an addiction to sugar & carbs will always be there, so steer clear of any dangerous situations. I have found intermittent fasting goes really well with LCHF as the amount of fat is so satisfying. Thank you for this recipe! I added sautéed onions to the meat for extra flavor and ended up putting a lid on the pan to cook the meat all the way through. I made it tonight for the first time and it was absolutely outstanding! SO EASY and FAST. I replaced skim milk with whole milk. Stopped buying 'I Can't Believe It's Not Butter', fat free yogurt, cereal, orange juice, jelly etc etc. The first week when I didn't buy 'healthy whole wheat' cereal, he was like 'We're out of cereal'. But I was there with bacon and eggs. He ate, was happy, and went on with his day. I certainly don't make my husband's every meal but in the beginning I made sure I was there to quietly step in and offer an alternative when he was searching for the usual SAD foods because I knew he wouldn't know what to eat. Just like I wouldn't know what to eat if I hadn't educated myself. It is SO cemented in the US to eat low fat and whole grains. I think to really change the US is to start with the mothers and wives. We are the ones who typically plan the meals and shop or at least give the lists to our husbands for what to buy at the store. :). My husband eats what I put in front of him. He's very trusting. :). It actually took him awhile to realize I had stopped making whole wheat pasta, rice, potatoes, stuffing etc. I never told him, just made delicious meals. He still hasn't given up his bread. BUT, my husband is consuming 1000x less grains, including bread, and low fat than before and has SO much more energy - he's lost weight. One day he was super late for work and didn't have time for breakfast. I was around getting ready for work and I went to the fridge and tossed him a fat bomb I had made. I didn't tell him it was called a fat bomb because he would have freaked at the name. I just told him it was a snack packed full with nutrition so he could make it until lunch. He looked at the tiny heart shaped candy looking thing (I had made it in a candy mold) and was like 'ok....' but popped it in his mouth on the way out the door. Guess who comes now asking if there are any more fat bombs around? :). Before, he'd be grabbing pretzels or low fat yogurt, toast with jelly, 'healthy' energy bars. He'd come home from work, have dinner with whole wheat pasta, rice, potatoes, and fall asleep on the couch afterwards. On the weekends, he'd come back from working out, eat a big bowl of pasta with vegetables or have low fat yogurt and fall asleep for the next two hours. He'd jack himself with coffee to keep himself going. We live in California and very lucky to have year round Farmers Market. My 10 year old daughter always looks for lemon grass now so we can make your other lemon grass chicken recipe. None of her friends knew what lemon grass was or what to do with it - until my daughter showed them. My husband asks if we need more cauliflower, not cereal. I have a long way to go for weight loss but even if I wasn't losing weight eating this way I would still eat HFLC. I feel NORMAL and settled for the first time in my life. I stayed thin, until I became pregnant, by jogging 6 miles almost every day. I started this in high school. When I became pregnant at age 30 I stopped jogging but didn't stop how I was eating. The weight packed on - even after I gave birth. I ballooned to an enormous size. People with good intentions would make the comment to me how pretty I would be if I lost weight and give me the typical weight loss advice - join Weight Watchers, eat less/exercise more, count calories with an easy app, eat whole wheat foods and plenty of fruits and vegetables. My mother in law would read weight loss articles out loud when I was around under the guise it was for her, mailed me weight loss shakes and bars to try. The chemicals in those things would rival any chemistry lab. It's incredibly painful to be obese - the emotional pain and humiliation and fear for your health you feel on a daily basis can almost paralyze you. I feel silently and subtly judged every day. 'The world is how you are' is very true and maybe I am projecting my own perceptions of myself out in the world but I don't think so. The comments I have heard from family, friends, strangers, and even doctors about my weight these last ten years have been painful and humiliating. Last spring a co-worker went on a strenuous and long hike in Hawaii. I was like 'oh, I wine on that hike too'. Of course it was when I was in my 20's and jogging obsessively. She was like 'You' went on the hike...? You went the whole way..?' As if she was almost offended I at my large out of shape self could have done something she thought was an example of her athletic ability. I explained to her it was years prior. One woman doctor one time basically just said in complete exasperation 'You're too young to be this over-weight!' as if just fed up with me. She had no advice about how to do this other than to count calories, exercise, avoid saturated fats, eat plenty of whole grains and fruits and vegetables. She advised me to join Weight Watchers. From even 5th grade I remember having headaches and feeling tired. When I over heard an aunt tell my mom I was getting chubby in 7th grade I started jogging. By high school it was up to 6 miles almost daily. I didn't realize all these years (I'm 41 now) how eating low fat and whole grains was ruining me. My mom is also obese and is still entrenched in the low fat/whole grains crowd. She is VERY unsupportive of my new way of eating. I am almost exactly like my mom in terms of blood sugar problems and addiction to carbs and sugar. She is 65 years old and still believes low fat/whole grains/counting calories are the way to go. The problem is she can never eat this way for long before she gorges on carbs and fat. She literally cannot stop drinking Coke. Her life revolves around making sure there is Coke around. No different than if she were addicted to cigarettes and needing her next fix. She is on FIVE different blood pressure medications, neuropathy meds, meds for heartburn. Her blood pressure is still barely contained. When she noticed I had lost some weight, she descended on me as she always did the very brief periods I lost weight, drilling me on what I was doing. Five years ago when I lost 50 pounds by returning to jogging miles a day and restricting calories, she accepted this with no question. Of course I couldn't keep it up because as my whole life, I was always hungry. When I tell her I am doing HFLC and feel outstanding, all I receive is judgment: I am ruining my health. This is a way of eating I can never maintain. It's not healthy or normal to omit an entire food group (grains). I am killing myself by eating saturated fats and 'all that meat'. I simply need to eat in moderation of whole wheat bread, beans, low fat cheese and yogurt, oatmeal, brown rice, and lots of fruits and vegetables. She made a 'healthy' breakfast smoothie of oatmeal, honey, NO fat yogurt, and skim milk. Kept trying to get me to drink it saying how quick it would be to make in the mornings. Two hours later we were going through a drive thru so she could get a Coke. It used to make me angry my obese for decades and incredibly unhealthy mom is so arrogant in giving eating advice to me and so smug that she is correct. But now I simply feel empathy for her and her addiction. I told her I would no longer listen to criticism of what I am eating - a boundary she had pushed until she realized I would not tolerate it anymore. The bottom line is since I can remember, basically junior high, I was always hungry, always craving sweets and junk, tired, unexplained headaches, brain fog, needing to take naps, always HUNGRY, wandering fast food and grocery stores for my next fix of sugar. I would need more and more to feel better. I felt I was like a drug addict. I knew deep down something was horribly wrong with me. For years I lived in a shell keeping it together for my daughter and husband and work. Knowing something was very wrong but in DESPAIR about what to do. Days, weeks, years went by with the promise to myself THIS time I would lose the weight so I could start living again, so I would at least resemble who my husband had married, so I wouldn't set a terrible example for my daughter, so I could leave the job I hated but was afraid to go somewhere else because so fat, avoiding social situations. My husband doesn't know, no one knows, but I had been suicidal for years. In the US it is no problem for me to buy a gun. It was always in the back of my mind. I would wrap the inside of our car with plastic so I wouldn't ruin the car and also not leave the memory in our house. No one knew the utter despair and hopelessness I felt for years. I had NO idea how to not be obese, not be hungry, addicted to food, exhausted, and in a brain fog. I could not stop eating - CRAVING sugar, chips, junk. I could not. I was not living. I was existing. The only thing that stopped me and would always stop me is my daughter. I know her life would be ruined. I'm saying all of this is because around late September I by accident when looking around YouTube came across high fat, low carb. Normally I would scoff at this 'crazy, dangerous' way of eating, but something made me watch a lecture that had been uploaded. I spent the next hours watching video after video. I took notes. It REALLY resonated with me. I had tried low carb before but never made it past one day. The missing piece had been FAT. I did low carb with low fat - thinking the fat was harmful to me. I told NO ONE what I was doing when I started eating HFLC. By day two I felt better. I felt calm, settled, clear thinking. Even though I was very afraid to eat fat, I did it anyway. I felt FULL. It wasn't long before my ravenous cravings were GONE. I no longer felt controlled by food. I didn't sit there struggling not to eat anymore food or eat 'good' then two hours later finish a pint of ice cream before bed. I would make whole wheat pasta with vegetables in fat free pasta sauce thinking that was healthy. NO MORE. I am still obese. I feel huge. I feel like a grotesque thing constantly self-conscious and aware of my size. But for once in my life I actually feel HOPE. I am losing weight and NOT starving, constantly counting calories, or jogging for miles and miles. I no longer have headaches, no longer take naps or feel hung over when my alarm wakes me in the morning. I no longer have brain fog or wander grocery store aisles looking for my next fix of carbs/sugar. I feel normal. My husband , daughter, and I leave for a trip to Mexico in February. I can't help but feel panic. I don't want to be on an airplane and have a seatbelt not fasten or barely fasten, be on a beach, feel like I am being judged or looked at in disgust. I feel anger at myself that I didn't start this change earlier so I can enjoy the trip. My husband says I am over reacting and no one is going to stare at me. But my husband is normal size and doesn't understand what it's like. I decided though to be kind to myself and enjoy the trip. I want to sincerely thank you and all the others who taught me about HFLC because I was truly like an empty shell, a lost soul with no hope. I didn't understand what was happening to me. I feel good. I feel normal. I feel in control. I no longer feel like a drug addict. Ketogenic diet is known to potentially help with mental illness! Good luck. Is there something to click on that shows the nutritional break down of each ingredient? I'm trying to track carbs/fats/protein using a daily calculator. Thanks! Thank you for being so braves to share your story. I completely relate to your feelings and struggles. I have just started HFLC 3 days ago so this is new to me. Still trying to understand what to eat but I do have hope that perhaps this will finally be the answer for my weight loss. Good luck with your journey and keep posting. I started the LCHF challenge and the BPC makes me full so I am not eating just to eat ... I will be mindful to increase fat in my meals that I eat. So far I feel great. Thx to all for proving this LCHF challege and abundane of information. Most grateful!!! Dear Diet Doctor, could you please look at changing the metric unit of volume from dL to mL? It is very confusing, and measuring cups are marked in mL. We're working hard on making all units more intuitive and simple. Improvements coming very soon. Sunday night dinner done, just prior to day one tomorrow on the two week challenge. Tonight's hamburgers and cabbage was spectacular. Thank you for providing this simple and easy to follow programme. I appreciate it. I've already been doing HFLC for about a month now so don't anticipate too many side effects. I am not here for weight loss but to get my blood sugar under control. I will post again after my next blood work in about six weeks or so. Here's to successfully lowering that number with diet alone. For the record, headaches are long gone, sleeping way better, enjoying my meals and look forward to them and have said goodbye to malaise. Its all good. It is very generous of you to provide so much information, guidance and support for free. You are helping to heal the world, one person at a time. Thank you! I have been low carb for quite some time, so am not doing the 2 week challenge, but I am new to DietDoctor and this was a recipe I loved the look of. The serving sizes seemed absolutely massive to me, but once you fry up the cabbage it cooks down quite a lot and makes a much smaller amount. My burgers also shrunk by about half the size. This is good for me since LCHF means my appetite is very well under control and I don't need much to fill me up quickly. The sauce I was expecting to be a very creamy affair, with the flavour of the tomato mixed in. But it really does taste very much like a gravy. The pan juices and flavours really make a difference to the sauce. A very nice, easy recipe. Will definitely be making it again. I don't eat beaf. Is there any other alternative to this one ? Dear Diet Doctor, not being a native English speaker I wonder about the ingredient "green cabbage", used in for example first week's Sunday dinner. The picture shows "normal", white, cabbage. When testing Google Translate 'green cabbage' turns in to what in my own language (Swedish) would be 'kale' in English. 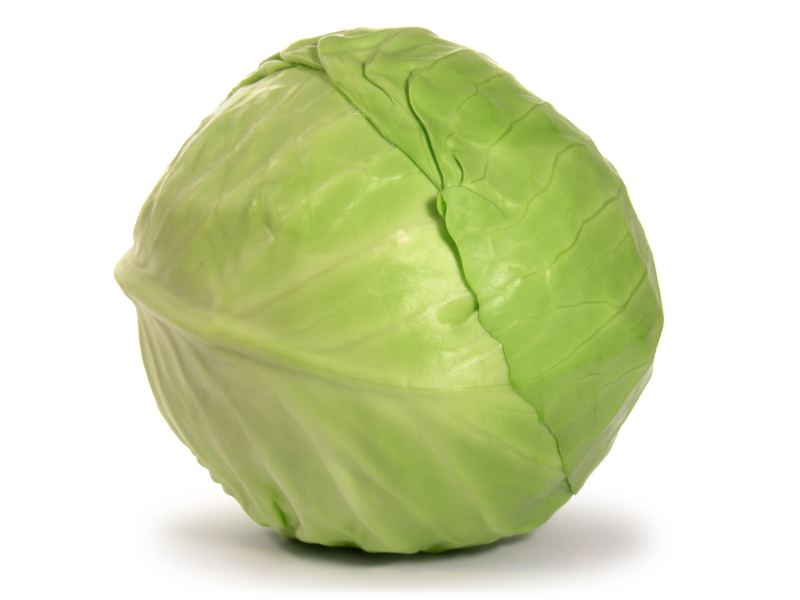 So the word "green" before "cabbage" then becomes confusing, at least for some of us non-English speakers. I choose now to go by the picture of the dish and will buy "cabbage". Am I right? I am eager to get going so I would be happy for a quick reply! Thanks. Made this last night and it was great! Thank you for the recipe. I did use full fat canned coconut milk instead of the cream and dried parsley instead of fresh. What is heavy whipping cream pls? I am in NZ and I can't seem to find it anywhere. We only have whipped cream in can and normal cream. The fat content should be around 35-40%, then it's OK.
On the nutrition. Is that the net carbs per serving. I normally don't respond on these message boards, but I have to today. I just made this, and OMG... that's the best way I've EVER had hamburger!!!! I've been eating fried cabbage for years, so I was used to it, but this recipe is DA BOMB! I've been a low carber for years, but this is one of the best recipes I've ever had. Heavy Whipping Cream is usually with the cartons (not jugs) of milk, half-n-half, etc. This dish is amazing. I altered it a bit in case some were interested. Instead of making patties I just browned the ground beef and added parsley for the last min or so. Then i added all the ingredients from here along with rosemary, garlic, oregano, and thyme to give it an Italian flavor. I then threw it in the oven for about 10-15 min. I opted out of the patties just to save some time. Kids love it with quinoa. Is feta cheese the only cheese you can have or can you use others such as Cheddar, Havarti, Gouda, etc. Just the thought of using feta makes me feel ill. I made this is very delicious but i found it so oily. Possibly my mistake with not understanding accurate the ingredients for the hamburger patties. Is the 1tablespoon olive oil and 30g butter to be used in frying the patties or is it to be used while mixing the hamburger patties ingredients. ? Respond please. That's what you fry the patties in. Doesn't go into the burger mix. OMG, this is so yummy! I spent all afternoon on Sunday preping for my week. These are great recipes! Thank you! This recipe is WONDERFUL. Since my husband and I eat LCHF, we often eat burgers, but frankly, I get really sick of them. However, this recipe is incredibly tasty and gives a whole new dimension to the simple burger! I added a bit to the sauce...I sautéed in butter some tiny chunks of onion, tiny chunks of red pepper, and several mushrooms cut into small pieces. Then when I did the sauce, I added these veggies and since I forgot to get parsley, I added some chives (those freeze dried ones you now see in jars in the produce department). I put the egg into the burger mix, but forgot the cheese, but it seemed fine without it. Everyone LOVED this recipe, and I have to say, it's actually one of my favorites here on this site. I've tried 5 or 6 recipes so far (all good), but this one is my favorite. I used an 80/20 hamburger. Making the burgers into an oblong shape made it easy to cook up enough for 3 servings (2 patties each, about 80-90g per patty)--they all fit into a 10" pan with room to spare. Is there a recipe for fried cabbage and bacon and garlic? Please?? I am struggling a little, finally got rid of my bread cravings and mostly sugar (still yearning for fruit but am having sugar free jelly and cream on occasion) :-( I love cabbage and bacon and putting garlic in sounds devine. So So So yummy! We all like this! I think there was too much parsley called for in the recipe I used about half and it had plenty in both the burgers and sauce. The sauce would be good with some added fresh basil at the end. This also would be good with cauli mash! Gave this a 7.. cant eat too much of it as very filling but was really delicious. I cooked it to a tee but my sugars are still 10.5 despite no carbs today.. first day but im up for a challenge.. got all the ingredients and the family are on board.